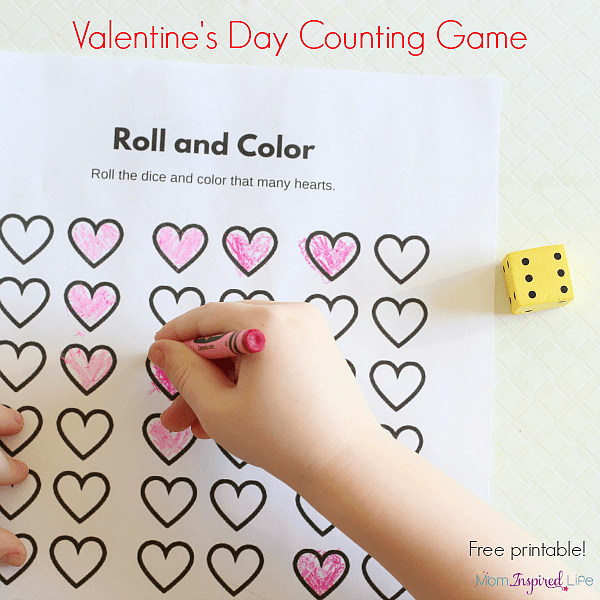 This Valentine’s Day counting game is perfect for a preschool party. 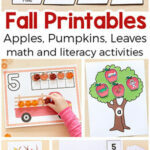 It can be played independently or in groups, but either way kids are sure to have a blast! 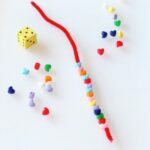 I wanted to create and quick and easy Valentine’s Day game that preschoolers could play without a lot of instruction or help. 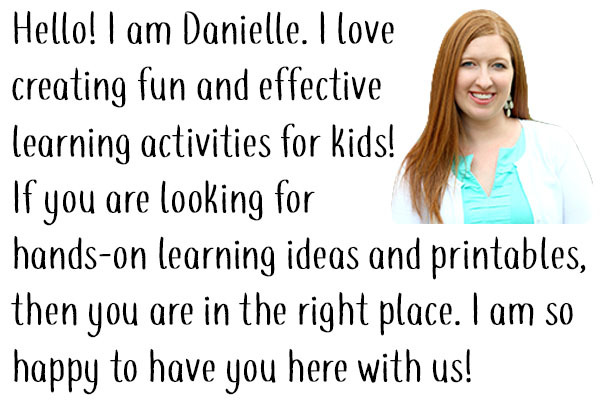 My kids love playing simple games and I know many teachers would prefer a game with little set up or complication. This game is just that! Give each child or team a crayon (or a couple of crayons) and one game die. 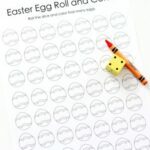 Each child or team will roll the game die and identify the number represented on the side facing up. 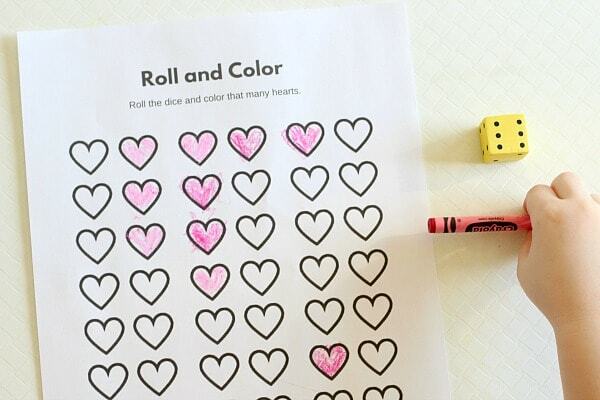 Then they will color that many hearts on the game sheet. 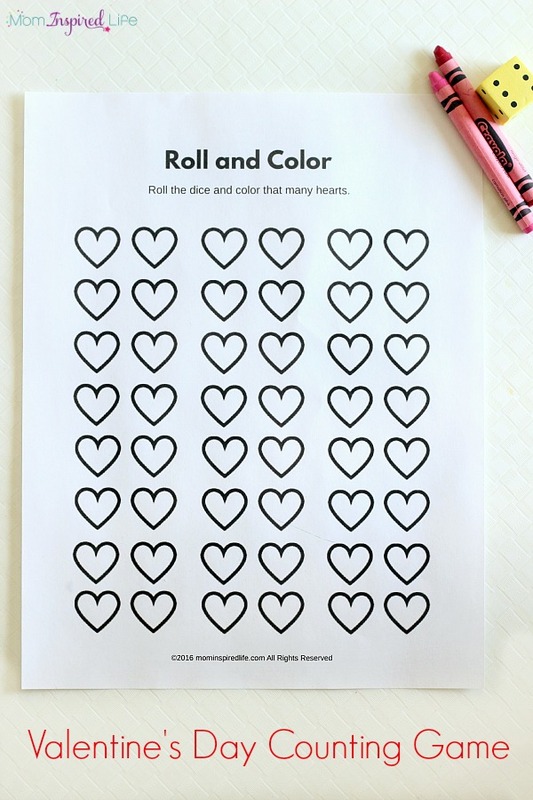 The first person or team with all of the hearts colored in, wins! That’s it! It’s super easy, but lots of fun. 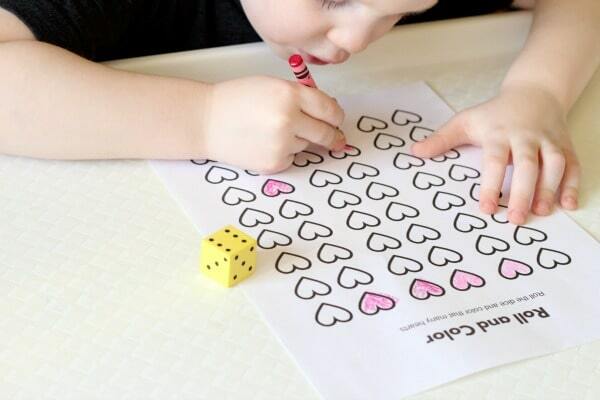 My son gets super excited when he rolls a big number and gets to color a bunch of hearts at once. 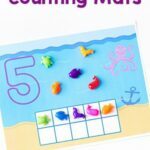 Another great thing about it is that it is teaching kids counting and one to one correspondence while they don’t even know it! If your kids need a bit more guidance, you could always play this in a small group setting with the teacher. Older children can play in pairs or in groups during center time. 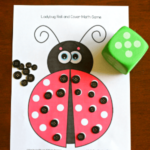 They could also use a pair of dice and add the two numbers together. There are so many ways to play! 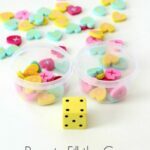 Here are some more Valentine’s Day activities I think you will enjoy!